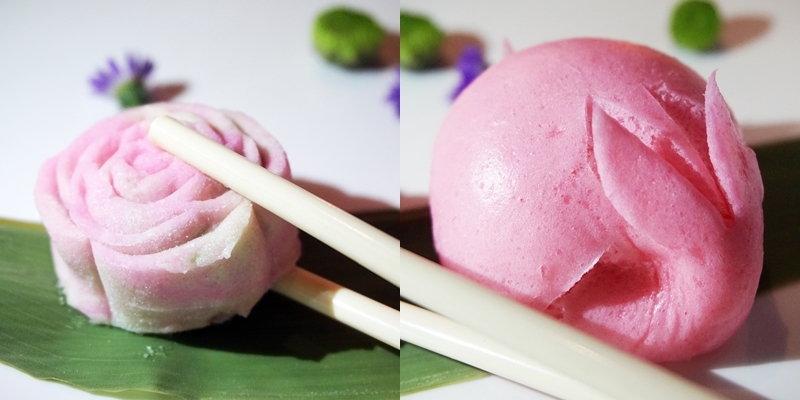 Experiencing Tao Chinese Cuisine's Wedding Lunch with InterContinental Hotel, Kuala Lumpur. One of the best thing about being a Malaysian is the opportunity to experience the cultural diversity we have in this country; be it foods, traditions or languages. It's these things that makes Malaysia so colourful and interesting in our own unique way. If we just can fully embrace the differences that we we have, I bet this world would be a better place to live in. I have always been interested in culture and history, so when I was invited by the InterContinental Hotel, Kuala Lumpur (last year actually but I totally forgot to share about this one, sigh) to attend and experience a mock Chinese wedding and dining ceremony, it didn't take me long to say yes. The event was aiming to introduce the oriental themed Tao Chinese Cuisine room in the InterContinental Hotel, which is a suitable venue to consider if you are planning a Chinese wedding. Able to fit up to 100 pax, Tao houses six private rooms all named after the dynasties in China; Han, Song, Tang, Yuan, Ming and Qin. Honestly, I have never experience any Chinese wedding before so I remember being super excited about trying all of the meals. We started off with the 'Tao' Gourmet Combination Platter then followed by the soup, a Braised North Canadian Lobster Claw with Bird's Nest, Fish Maw in Golden Broth that I especially intrigued with. Even the name is such a mouthful! The main course comes in three different but interesting dishes. I have always loved the Chinese style fried yam ring so when we were served with the Crispy Cod with Fruit Mayonnaise Dressing in Yam Ring, I was really squealing in happiness. It was followed up with the Braised Australian Five Head Abalone, Morel Mushroom Dumplings, Farm Green and then the Kai Lan Ginger Fried Rice with Crab Meat Glaze. Seriously, reminiscing about these foods right now is kind of a torture because it's making me all hungry. After the five dishes were served and cleared up, it was time for dessert. We were presented with two different types of desserts and a cup of Tao Black Tea to officially finish up the meal. I just love the taste of the Chilled Peach Gum, Pear, Snow Fungus with Red Date Syrup while the Assorted Sweetened Chinese Pastries are just so cute. Seriously, look at the rabbit and rose shape! I was really honored to be able to experience something like this. Just like when I attended a Korean wedding ceremony in Seoul, I find myself so mesmerised by the cultural difference all the time! Wow! This seems to be a very nice place. I must share this post with my fiancé because we are shortlisting good wedding venues for our wedding day. He is my childhood best friend and knows everything about my life. I am sure this place will make him very happy.